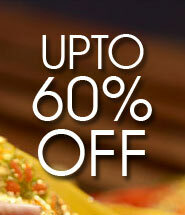 There are NO hidden charges when you make a purchase on IndianWeddingStore.com. List prices are final and all-inclusive. The price you see on the product page is exactly what you would pay. Delivery charges are not hidden charges and are charged (if at all) extra depending on shipping policy. Or courier partners have limits on the cash amount payable on delivery depending on the destination and your order value might have exceeded this limit. Please enter your pin code on the product page to check if CoD is available in your location. As of now, IndianWeddingStore.com doesn't deliver items internationally.